This new style of 901 clearomizers gives your e liquid a crisp clean taste, as the long wicks soak up all your liquid from top to bottom. Never fear a dry burn as this clearomzier is transparent, allowing you to keep an eye on the amount of eliquid you have left. 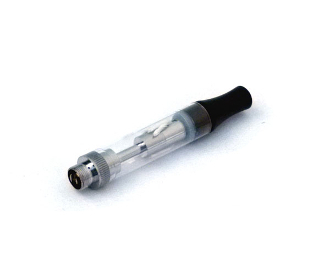 Paired with your 901 batteries, this clearomizer has a streamlined look with a classic black mouth piece.